Many elderly adults cope with the feeling that they are no longer relevant, or that they do not make any positive impact on the world around them. This can lead to feelings of depression and anxiety, as well as loneliness and isolation. Showing your parent that they are still relevant and that they can make a difference, is a powerful way to enhance their quality of life and perception of themselves, and to encourage them to continue taking care of themselves and engaging in life beyond their daily routine. There are many ways they can do this, but some that may be the most accessible and most impactful involve taking care of the world around them. Many of these efforts tend to be very accessible even for those with mobility issues or other challenges, and are readily noticeable for more motivation and a sense of accomplishment. Encourage them to go throughout their home to find leaks in faucets or other water sources. If they are found, fix them. This can save a tremendous amount of water. If there is a delay in being able to fix the faucet, encourage them to put a bucket under the leak to catch the water so it can be used for cleaning or watering plants. Spruce up their surroundings and make the world a healthier, more beautiful place by planting flowers and other plants throughout their yard. Bring this to a wider scale if they are able, and encourage them to plant trees in their surroundings, or to participate in tree-planting efforts throughout the community. If they enjoy crafting, get involved in upcycling. This type of craft involves using items that are no longer useful for their original intended purpose and transforming them into something new rather than throwing them away. For example, a senior who enjoys gardening might take an old wheelbarrow or farm equipment and turn it into a decorative planter for their yard. Senior care isn’t just for those who are very elderly, very ill, or completely incapable of caring for themselves. Having a senior home care services provider as a part of their care can be a tremendously beneficial choice even for seniors who only have a few challenges, and are still largely independent. 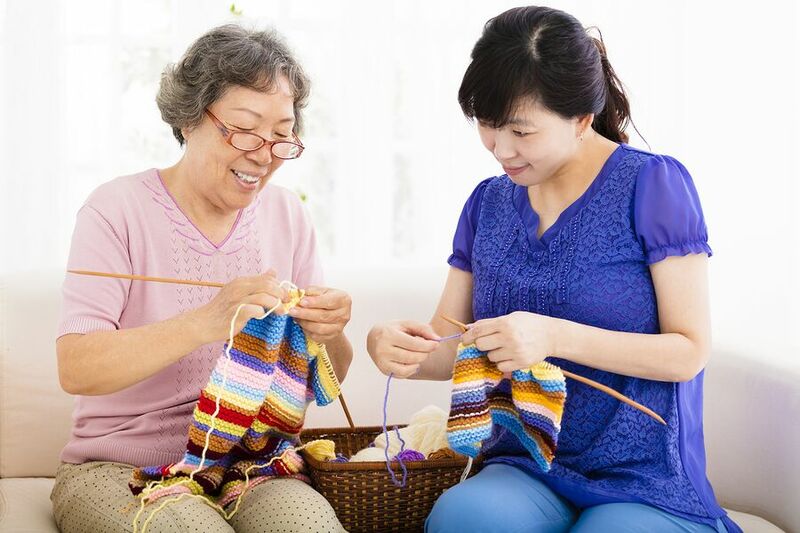 Through this customized care, your aging parent can maintain their health more effectively, stay more active on their own schedule, and feel more confident remaining in their own home as they age in place. As a family caregiver, this can help you to have peace of mind knowing your parent will have everything they need to continue living the lifestyle they desire and deserve both when you are there with them, and when you are not. If you or an aging loved-one are considering Elderly Care in Pittsburgh, PA, please contact the caring staff at In-Home Quality Care today.